The Sweet Partner in Crime and I made our first trip to Sonoma County in 2005. 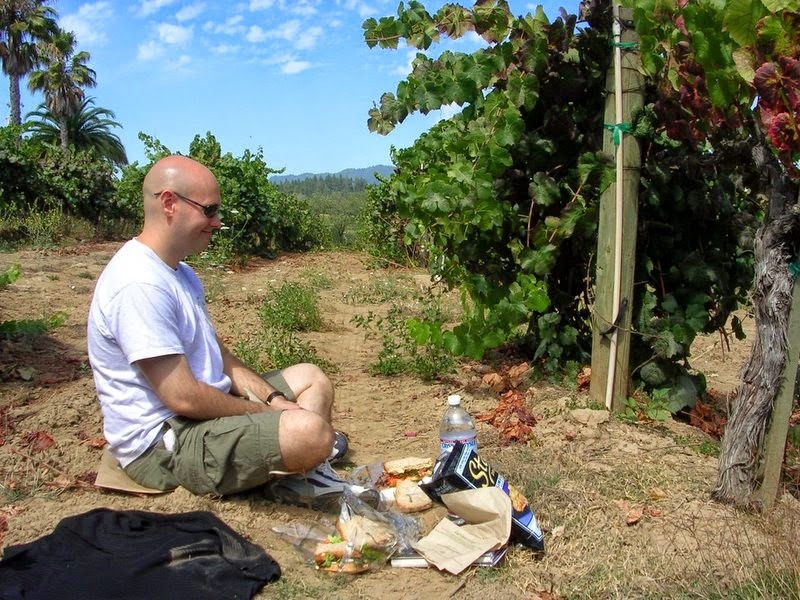 Our first stop upon entering the county, before even checking in and unpacking, was at Iron Horse Winery, where we cobbled together a lovely picnic amongst rows of Cabernet Sauvignon vines. We hit a couple of other wineries before making it to our B&B, where we went to a happy hour down in their “speakeasy” of a tasting room. In just half a day, we had learned quickly that we were surrounded by so many good wines…zins, cabs, syrahs, merlots…and I wanted…no, I needed…to try them all. In three days. I saw the light. My mission was clear. 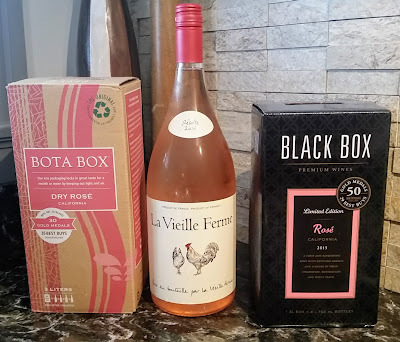 I had some recommendations from my more knowledgeable friends of several wineries to hit and we kept adding to the list as we tried new wines. We zoomed though the valleys, bouncing from tasting room to tasting room like a meth-addled census taker. I thought a dozen tasting rooms a day seemed perfectly logical, starting at the first one to open and running the gamut until they closed up shop. Sure, we covered a lot of ground, but needless to say, this isn’t the most relaxing way to spend a vacation. To the great benefit of my palate, my liver, and the SPinC’s willingness to keep me around, my strategy has changed a bit in the ensuing years. I have no more illusions about trying to drain the contents of entire valleys. So, on our recent return to Sonoma, rather than trying to run down a bunch of wineries someone else thought would be good, we took matters into our own hands based on our own conversations and connections once we arrived. The Naked Vine Snowball Technique was born. The Snowball’s central idea comes from a research method called snowball sampling -- a recruitment technique in which participants are asked to assist researchers in identifying other potential subjects. In short, after someone takes a survey, the researcher asks, “Do you know other folks who might be interested in participating?” Those referrals leads to other referrals, growing in number as the virtual snowball rolls down the hypothetical hill. How does this work with tasting rooms? Start at the place where you’re staying. They live there. They know things. Say something like, “We’re looking for a good place to start. We want somewhere fun, laid back, and not overly pricey.” Replace those descriptors with whatever you want…expensive wines, pinot noir specialists, great gift shop -- whatever floats your cork. You’ll end up with at least a couple of recommendations. Pop in to one of them and do a tasting. Chat. Enjoy. If you feel like you make a connection, then repeat your question to the good folks behind the bar. They live there. They know things. They’ll mention a couple of other places. Those places will mention other places. 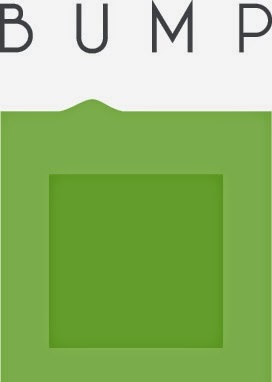 Patterns form in the recommendations. You now have your guide. Go forth and enjoy. We wanted a different experience this time around, so we parked it in the actual city of Sonoma, which is in the southern portion of Sonoma County. Our previous trips were to the northern end of the county near Healdsburg, and the surrounding valleys. Sonoma has 26 tasting rooms in and around its city square. (In the past, I might have tried to hit them all.) We found a distinct contrast with those tasting rooms. Most places we’d been, the tasting rooms were basically outlet stores for well-established wineries with very recognizable names. In Sonoma, however, the tasting rooms were generally run by smaller operations at which many didn’t own vineyards themselves. Many of these winemakers bought grapes from vineyards they liked that fit their needs, producing excellent wine. I like that notion. Egalitarian. He also played Ronald McDonald after Willard Scott headed to the Today show, so plenty of McDonald’s and clown-themed memorabilia adorn the tasting room. In addition to all of the wines that you can sample, the town of Sonoma is home to any number of fabulous restaurants, and we worked our way through several. Try the Red Grape for lunch. La Salette is a Portuguese restaurant with fabulous variety and flavor. The Girl and the Fig is a local favorite – contemporary French. The El Dorado Kitchen does some neat takes on American classic cuisine. One of our favorite dining experiences, however, was the Tuesday night we were there – which coincided with the first Sonoma community farmer’s market of the year. The farmer’s market turns into a big community picnic, so we joined right in with a bottle of Bump rosé. Once things started winding down, many locals head over to Murphy’s Irish Pub for an oyster roast and multiple beers. After a few days of wine tasting, beer made for a great way to close a wonderful stretch of vacation. If your Memorial Day plans include a trip to Newport on the Levee, consider snagging a glass of wine at the new Carnevale Wine Bar, the latest project from La Vigna Estate Winery in Higginsport, Ohio. As I've mentioned on a few occasions: with few exceptions, this slice of the country isn't generally the best terroir for growing wine grapes, but it can be done with good pieces of property, some creativity, and a lot of elbow grease. Brad Hively, owner and winemaker at La Vigna, wanted to showcase his wines -- and the wines of some of his winemaking compatriots, in a new setting. "I'm really excited about this location," said Hively, "and I think it'll be a great place to show what we can do here." The new wine bar is right in front of Art on the Levee, straight across from the ticket booth for the Levee movie theaters. There, in the shadow of the Claire's, Hively hopes to expand his offerings quickly. "We're pouring eight of our wines right now, and I'm hopeful that some of our winemaking friends will join us. I'd like to get to about twenty wines from the region and eventually offer flights of whites and reds from the various wineries." This weekend, both at the wine bar and at La Vigna's tasting room, they are releasing two new vintages: the Carnevale 2011 Cabernet Franc and Carnevale 2013 Petit Manseng. The Carnevale Cabernet Franc remains one of my favorite local wines, red or white -- and this vintage is no exception. I'd also recommend their Rosato, which is an excellent summer sipper. New vintages of their other wines will be making appearances over the next several weeks, and they'll be previewed at Carnevale. 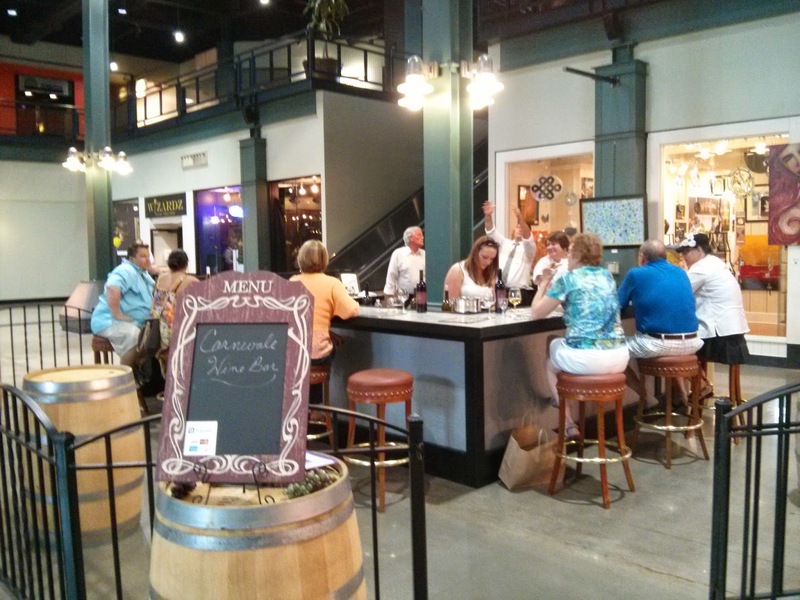 The wine bar opened for the first time on Saturday, and they'll be open again on Memorial Day from noon-10pm. After this weekend, their normal hours through the summer will be Thursday 5:00-10:00pm; Friday 5:00 – 10:00pm; and Saturday 2:00-10:00pm. There's a piano in the bar area, which will be used for live classical and jazz music as the summer rolls on. In any case, a nice new addition to the Levee. Check it out. …wait, come back! Where are you going? This is not a parody column! Get your noses out of the air and belly up to the bar. The commercials claimed “It will change the way you think about Gallo.” While I can’t speak to that, it certainly poisoned the way I think about the poor Grenache grape for quite some time! Along similar lines, when the Sweet Partner in Crime and I were starting down our slippery wine-drinking slope, we used to go through Rosemount Estates Grenache-Shiraz – a dirt-cheap Australian red blend – by the virtual bucketful. At the time, it seemed perfectly drinkable, and it was a couple of dollars per bottle less expensive than the straight Rosemount Shiraz. Why? First off, it’s an incredibly ubiquitous grape. There are more acres of vineyard planted with Grenache in the world than any other red grape and the vines are generally quite high-yielding. These yields are a prime reason for Grenache’s bad name in the states, since a lot of those grapes landed in cheap jug wine. Forget the jugs, but remember the high yield. Because of this, winemakers can have plenty of raw material to work from, so even well-made Grenache tends to be less expensive compared to other grapes, so there are plenty of bargains to be had. Secondly, like Chardonnay, Grenache-based wines are incredibly terroir driven. 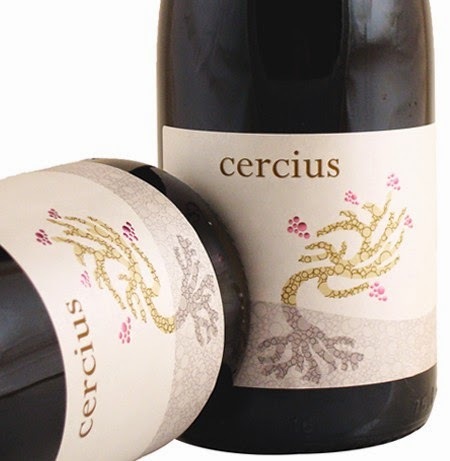 Grenache juice on its own, produces a light-styled wine, so the flavors derived from climate and soil can really shine. Good growers and winemakers, through smart cultivation, blending, and skill, can wrangle fascinating results from this grape. And they have all over the world, for years. Finally, spring is turning to summer. Since Grenache is generally somewhat lighter in style, it makes a great red wine option when the heat starts cranking up, especially if you’re interested in something that has a little more oomph than, say, a Beaujolais. There’s a smoky undercurrent to most Grenache that just calls for food, especially grilled food. A couple of weeks ago, K2, my Brother in Things Wine, invited me to do a tasting with him at the Party Source. I wanted to spread the word about my new grapey affection, so we ran down a series of Grenaches from around the world to educate folks on just how good this underappreciated grape can be. We put together an “around the world” Grenache tasting to show the breadth of what this grape can do. From there, we nipped over to Italy, specifically to the island of Sardinia. Here, Grenache goes by the alias Cannonau. The volcanic soils of Italy lend the traditional Italian minerality (which I think tastes a little “chalky”) to the finished product. Sardinian Cannonau, perhaps because of the particular terroir, has some of the highest levels of reservatrol of any red wine in the world. That’s the compound that makes red wine so good for your heart. 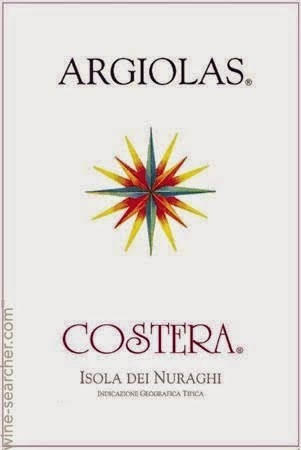 For an example here, we had the Argiolas Costera 2009 Cannonau di Sardegna. ($14) If you’re a fan of Italian wines, I’d put this somewhere between Chianti and Barbera on the “mineral vs. fruit” scale. Black cherry and licorice are the flavors I found most prevalent, but with minerality that would make it welcome next to a big plate of red sauced pasta. For a change of pace, we headed down under to Australia. As I mentioned, Grenache was used in a lot of inexpensive plonk for quite some time, but in many regions, such as McLaren Vale, winemakers are exploring what this grape can do. In Australia, Grenache gains some heft on the palate and becomes much more fruit forward. 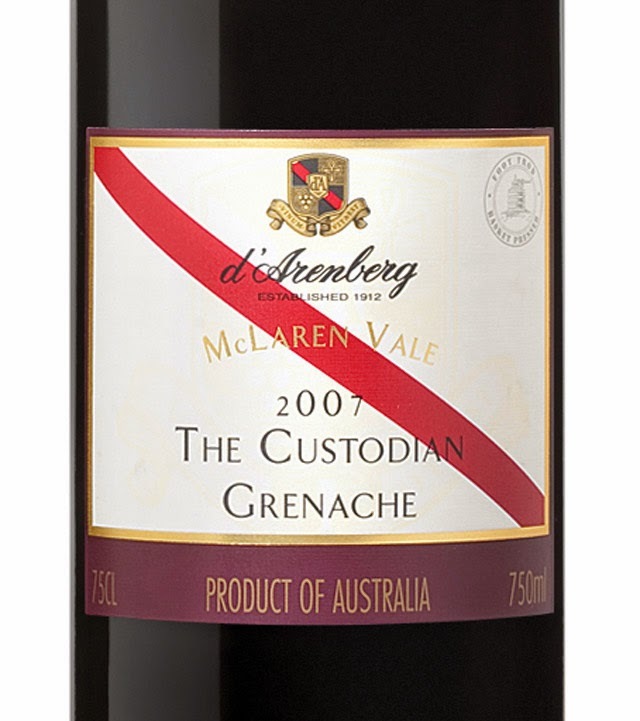 A perfect example is the d’Arenberg 2009 “The Custodian” Grenache. ($13) Rather than the cherry and spice the previous wines showed, this one featured much richer blackberry and raspberry flavors, and the tannins turned much smokier. 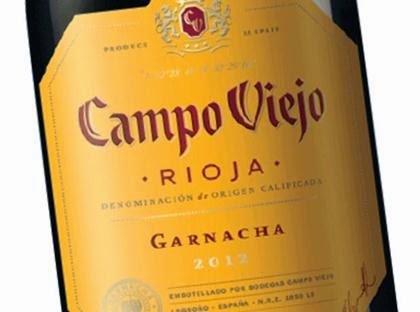 It’s quite a bold, pretty wine, in my estimation, which would be great with anything you might find sizzling on your grill. Finally, we arrived back in the States. The renaissance of Grenache in the U.S. was driven by a group of California winemakers in the 1980’s (led by Randall Graham) known colloquially as the “Rhone Rangers.” They thought certain varietals usually found in the Rhone, including Grenache, would respond well to certain California terroir. 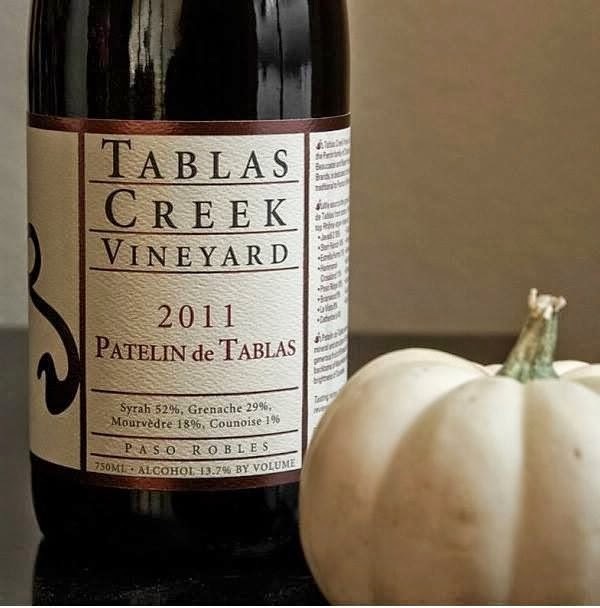 In general, California versions of these wines tend to be rounder and fruitier, and the Tablas Creek 2010 Patelin de Tablas ($19) from the Paso Robles region was no exception. This asskicker of a wine, which actually is a blend of Syrah, Grenache, Mourvedre, and Counoise, comes on strong with a full mouth of blueberries and blackberries, but also a bit of a bacony flavor through the midpalate and onto the long, fruity finish. This was easily the biggest of the fine wines we poured and was the overall favorite of the folks who stopped by the table. So…enough with the poor reputation of Grenache! Go get a bottle and try it out. As you can see, you’ve got many variations on the theme with which to experiment. Try them out this summer and beyond. Who’s with me? Naked Vine Live! Muffin & Stump's Libations for Education -- May 17th! Save the Date! Join The Naked Vine and Christine the Pie Queen at Newberry Brothers Cafe and Bistro on May 17th from 5:00 to midnight for our "Libations for Education" guest bartending stint! Enjoy an evening of good beverages, better pastries, and random joviality for an excellent cause. Tips and donations will help construct the new Gateway Community & Technical College Urban Metro Campus in downtown Covington. Help change the face of education in Northern Kentucky while you get your drink on! See you there!